The pair of good-quality slipmats with duplex 5 design is suitable for any industrial standard turntables. Unlike the rubber mat which is made to keep hold the record firmly in sync with the rotating platter, slipmats are designed to slip on the platter, allowing the DJ to manipulate a record on a turntable while the platter continues to rotate underneath. The pair of good-quality slipmats with Tecman design is suitable for any industrial standard turntables. Unlike the rubber mat which is made to keep hold the record firmly in sync with the rotating platter, slipmats are designed to slip on the platter, allowing the DJ to manipulate a record on a turntable while the platter continues to rotate underneath. Pair of high quality Technics Duplex slipmats. Pair of black slipmats with logo on front. 9am-6pm, Mon-Sat. DVDs, films & TV. Pair of slipmats with logo on front. 9am-6pm, Mon-Sat. DVDs, films & TV. 9am-6pm, Mon-Sat. DVDs, films & TV. Magma Traktor Pro Keyboard Cover (Macbook). 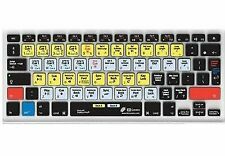 Custom designed colour coded buttons with Traktor Pro2® keyboard shortcuts. 12” MacBook® Air. 13” MacBook® Pro. 15” MacBook® Pro. 17” MacBook® Pro. Apple Wireless Keyboard. Item model number 60666. Technics slipmats are made from the finest and strongest felt material. Official Technics slipmat featuring a black with mirror white logo. 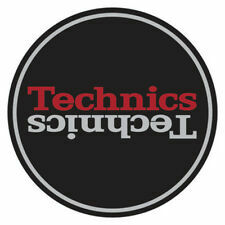 Official Technics slipmat featuring a black with mirror white logo. 9am-6pm, Mon-Sat. DVDs, films & TV. Technics slipmats with Jamaican flag. 9am-6pm, Mon-Sat. DVDs, films & TV. The pair of good-quality slipmats with strobe 3 design is suitable for any industrial standard turntables. Unlike the rubber mat which is made to keep hold the record firmly in sync with the rotating platter, slipmats are designed to slip on the platter, allowing the DJ to manipulate a record on a turntable while the platter continues to rotate underneath. Magma Technics Mirror Slipmats. High quality and durable felt material. Mirror effect design. Pair of white Technics slipmats with Berlin skyline silhouette graphic. 9am-6pm, Mon-Sat. DVDs, films & TV. The pair of good-quality slipmats with simple T5 design is suitable for any industrial standard turntables. Unlike the rubber mat which is made to keep hold the record firmly in sync with the rotating platter, slipmats are designed to slip on the platter, allowing the DJ to manipulate a record on a turntable while the platter continues to rotate underneath. Pair of Technics 1210 Slipmats. Pair of black Technics slipmats with 1210 number design. When placed on turntables one slipmat reads '12' while the other reads '10'. 9am-6pm, Mon-Sat. DVDs, films & TV. Pair of slipmats with silver & gold logo. 9am-6pm, Mon-Sat. DVDs, films & TV. Slipmats are an essential accessory for any vinyl DJ. Pair of black felt slipmats with white headshell design. 9am-6pm, Mon-Sat. DVDs, films & TV. Pair of felt slipmats with technics logo. Made from the finest but strongest felt material, these slipmats are the No.1 choice for DJs and vinyl lovers across the World. 9am-6pm, Mon-Sat. DVDs, films & TV. The pair of good-quality slipmats with simple T3 design is suitable for any industrial standard turntables. Unlike the rubber mat which is made to keep hold the record firmly in sync with the rotating platter, slipmats are designed to slip on the platter, allowing the DJ to manipulate a record on a turntable while the platter continues to rotate underneath. Sound & vision. DVDs, films & TV. Pair of Technics slipmats with one & two design. Pair of black Technics slipmats with one & two design in white upper case lettering. When placed on turntables left slipmat reads 'one' while right slipmat reads 'two'. Perfectly shaped to the keyboard of 13" MacBook®, MacBook Pro® (13",15" & 17") and 13" AirBook or Apple Alumnium Keyboard. Instantly convert your MacBook Pro® or Apple® Desktop Keyboard into a custom Ableton Live 9® Keyboard. Slipmats are the ultimate accessory for any serious Vinyl DJ. Magma Technics Moon Slipmat 2. 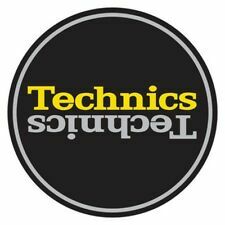 Many other versions of Technics Slipmats also available from Bop. Why people choose Bop DJ. BOP DJ Showrooms. 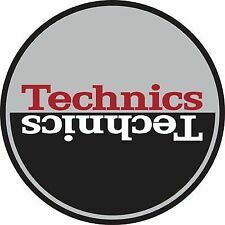 TECHNICS SLIPMATS. High quality slipmats. The Slipmats are made of quality felt. These slipmats are suitable for any set of vinyl decks. Black Slipmat white Technics mirror printing. Marke Technics. Pair of slipmats. 9am-6pm, Mon-Sat. DVDs, films & TV. Pair of high quality black felt slipmats with silver Technics logo design. 9am-6pm, Mon-Sat. DVDs, films & TV. Pair of Technics slipmats. The Magma LP Technics Simple T4 slipmat is light blue and features a yellow Technics logo. 9am-6pm, Mon-Sat. DVDs, films & TV. The pair of good-quality slipmats with strobe 1 design is suitable for any industrial standard turntables. Unlike the rubber mat which is made to keep hold the record firmly in sync with the rotating platter, slipmats are designed to slip on the platter, allowing the DJ to manipulate a record on a turntable while the platter continues to rotate underneath. Pair of Technics slipmats with Paris skyline silhouette graphic. Pair of white Technics slipmats with Paris skyline silhouette graphic. 9am-6pm, Mon-Sat. DVDs, films & TV. Perfect aid for Cueing and scratch routines. 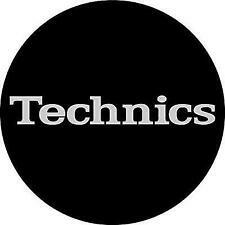 Technics slipmats are made from the finest and strongest felt material. Perfectly shaped to the keyboard of 13" MacBook®, MacBook Pro® (13",15" & 17") and 13" AirBook or Apple Alumnium Keyboard. Keyboard cover made of durable, soft and ultra-thin silicone Custom designed colour coded buttons with Ableton Live 9® keyboard shortcuts (also compatible with older versions of Ableton Live). High quality ID card/pass/badge holder with safety neck strap - Magma logo print. 9am-6pm, Mon-Sat. DVDs, films & TV. SLIPMAT TECHNICS. Black Slipmat white Technics mirror printing. High-quality Slipmat as a one-off. • 1 Slipmat as one of a kind! This slipmat is suitable for any set of vinyl decks. Produktart Slipmat. Perfect aid for Cueing and scratch routines. 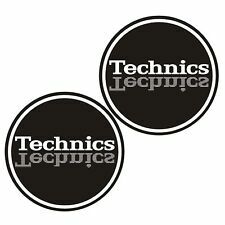 Technics Classic Logo Slipmats. Used by the World's best DJs.